EVERY MONTH SHOULD BE ADOPT-A-PET MONTH!!!!! There are so very many animals awaiting adoption in every area of this country -- purebreds and mutts, boys and girls, puppies and seniors and everything in between (and don't forget cats, rabbits, small mammals and horses too!). Please consider ADOPTION as your first and only option. 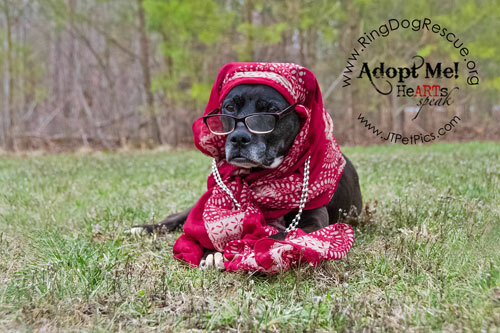 I am proud to say that over the last several years I have photographed adoptable animals reaching into the thousands (spanning across a number of different rescues). 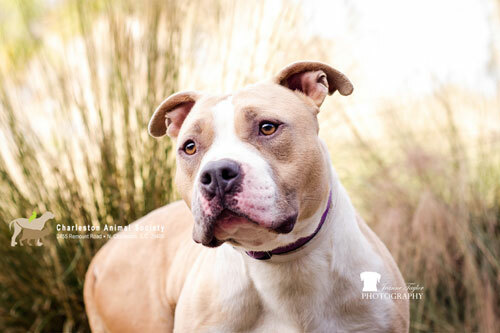 Currently, I shoot primarily for the Charleston Animal Society as a weekly activity and for their events as requested, but am always willing to work with other rescues as well. I have been a Service Professional and Artist Member of HeArts Speak since 2012. If you volunteer with or officially represent a rescue organization and wish to discuss having your fosters or shelter pets photographed, please contact me. I am happy to support your efforts and there is no charge associated with this service. (And if you are geographically out of my area, I will refer you to someone who can assist you in your region.) Note: Rescue/foster photos may bear either the HeARTs Speak watermark or your shelter and my studio mark, depending on what works best for your organization. See watermark samples below. I also have a relationship with a pet locator app service where they post photos of adoptables on their site - additional positive exposure for your shelter and the animals in your care is NEVER a bad thing! It should also be noted that rescue and foster photos receive the same time, effort, care and attention as client projects do. This is an important part of my work and I take it quite seriously because I know these furry lives literally are at stake as they sit in shelters awaiting adoption. And don't forget about Petfinder.com! Not responsible for content on third-party sites.